Bound in your heart forever, your little girl will always know your love for her when she sees the heart on her ring. 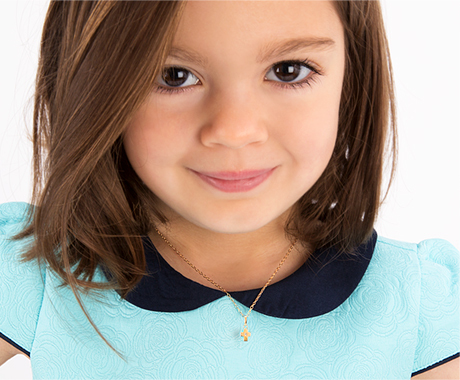 Set with clear sparkling Diamonlux™ Cubic Zirconias on both sides and made with genuine sterling silver, this makes a perfect gift for your little angel. I ordered the size 1 for my niece and it fits her little finger perfectly.